In a speech headlined, not surprisingly, by border security issues, education made a one-sentence cameo. “The time has come to pass school choice for America’s children,” President Trump said in his State of the Union address Tuesday night. The brief mention offered no specifics about a proposal — or what federal school choice legislation might look like. Trump’s pitch for school choice is not unprecedented. He has advocated for choice in the past, and his previous budget proposals have sought to siphon U.S. Department of Education dollars into school choice. And Betsy DeVos, Trump’s education secretary, is an ardent school choice advocate. Meanwhile, Alyson Klein of Education Week noted a key education topic that went entirely unmentioned: the fate of the 250,000 students and 9,000 teachers who are in the United States under the Deferred Action for Childhood Arrivals program. The program remains in legal limbo. An estimated 3,100 Idaho “Dreamers” are in the state under DACA, which protects undocumented immigrants from deportation. The state has imposed academic sanctions on 13 of its 25 charter schools requiring reauthorization. 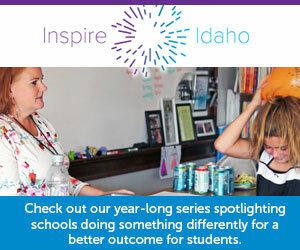 Many Idaho charter schools still aren’t offering programs for poorer students, including free-and-reduced lunch and busing. “Idaho simply cannot afford to absorb the costs we would incur if a version of this budget is approved by Congress,” Idaho Center for Fiscal Policy director Lauren Necochea said Tuesday.